Mechanical Treatment of Wastewater. Among the worst environmental problems is a widespread petroleum pollution of water bodies, coastal areas and soil, due to its increased production, transportation and refining. Statistics estimate 2% of oil losses during transportation. The losses cannot be avoided during storage of fuels and lubricants on tank farms and oil processing enterprises, which, in accordance with the existing requirements should not be more than 3%. Although in practice this number is significantly higher. This is not surprising, since virtually any oil refining enterprise forms a zone of soil and groundwater contamination. This leads to disruption of the natural biochemical processes and mass destruction of flora and fauna. Therefore, wastewater contaminated with crude oil is rightly considered to be one of the worst pollutants on the planet. Mechanical Treatment of Wastewater. Preliminary cleaning of wastewater from petroleum mainly uses mechanical treatment. In general, its efficiency is 65% when cleaning household wastewater and 95% in purification of certain industrial effluents. Mechanical cleaning prepares the wastewater for the following stages of physicochemical and biological treatments. This method is considered to be the cheapest, so it is used very often. Mechanical treatment of wastewater is necessary to remove insoluble suspended solids through clarification, filtration and sedimentation. The main drawback of this approach is the low efficiency of mechanical equipment. 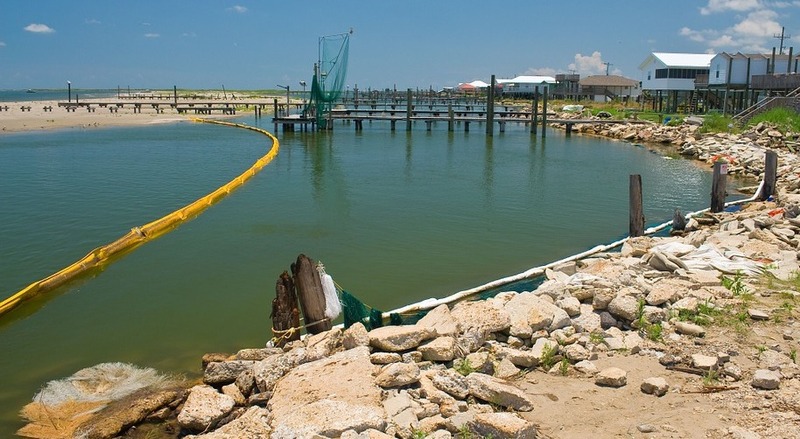 The complexity of petroleum removal is in its spreading in a thin layer on the surface of water. As it is collected, water is captured as well.